It is always an important occasion when a prestigious old bath goes through an overhaul, because it is difficult to harmonise the heritage of the past with modern requirements. Few European cities have what Budapest has: a large number of hot water spas, which represent great value and are also an architectural challenge. Király Baths is more than 500 years old and it was built during the Turkish occupation of Hungary, therefore it is a major challenge to do the reconstruction works. It became clear in the last few years that the renovation of Király Baths is due, as the last time it went through an overhaul was in the 1950s, because the building was badly damaged in World War II. Since then small renovation works have been done, but no major reconstruction has taken place. In 1825 the bath underwent a conversion that resulted in a Classicist style, but the parts from the Turkish times remained with their own characteristics. 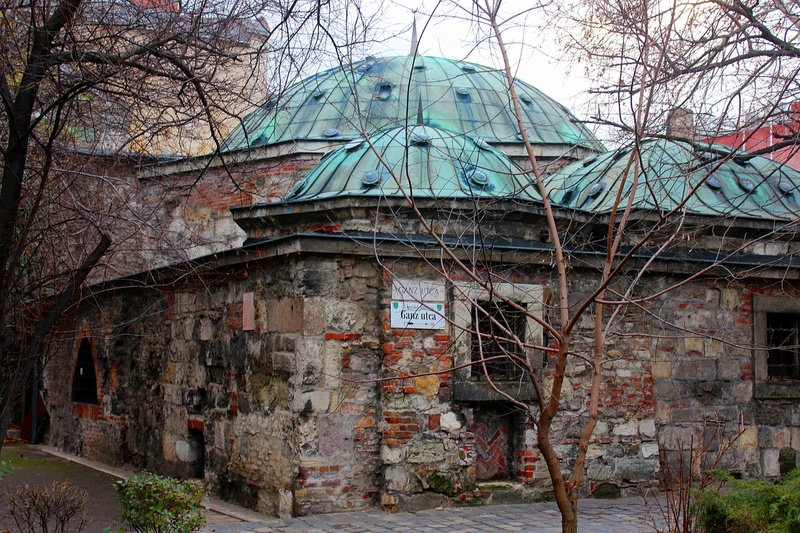 Király Baths were built in the middle of the 1500s for Arslan, the Pasha of Buda. The bath was constructed inside the castle, despite the fact that there are no hot springs there. Arslan decided to go forward with this plan because he wanted to enjoy the benefits of a hot water bath even when the castle was under siege. This meant that the water had to be brought here from quite a distance, the springs of Lukács Bath. Back then they used pipes made from pine trees for this, but today metal pipes do the job. Arslan didn’t have the chance to enjoy the bath because the sultan had him executed, so it was his successor Sokoli Mustapha who plunged into the pool when he had the time. After taking back Buda from the Turks several families owned Király Baths, and the people living here always called it by the name of the owner family. In 1796 the bath ended up in the ownership of the König family, and it was them who converted it to look as it is now, combining old with new, preserving the building’s original characteristics. The bath got its name from the family’s Magyarised name. Today the bath is operated by Budapest Gyógyfürdői és Hévizei Zrt. that published a call for tenders to expand and renovate Király Baths, and it was 3H Architecture Office that won the 2-million-forint prize with its plans in 2017. Their design managed to create a special harmony between the new and the multi-layer historical building, giving a clean-cut background to the Baroque, Turkish and Classicist building complex, uniting all three periods with the new, fourth one. The plan’s logic is also manifested in its technical contents. The jury didn’t only like this plan, so the ideas of several other architecture firms will also be realised during the reconstruction works, which will start in the second half of 2019 and will last until 2020. Archaeological works were performed on the site of the bath before the modernisation of the prestigious bath commences. We hope that soon we will be able to enjoy the thermal water of Király Baths in the modernised building. The water contains sodium, calcium, magnesium, hydrogen carbonate, sulphate and chloride, plus fluoride ions. It is perfect for treating various joint diseases and arthritis, spinal disc herniation, trigeminal neuralgia and not having enough lime in the bones, and for recovering from an injury.